Candacraig is an exclusive Scottish mansion, immaculately presented to the highest standards, but where the atmosphere is always warm and relaxing. We are passionate about ensuring our guests enjoy unique and memorable experiences, offering truly bespoke hospitality that caters to your particular wants and needs, and always maintaining the exceptional standards one would expect of this luxurious setting. Alongside our twelve sumptuous ensuite bedrooms, guests enjoy the benefit of our impressive formal Dining Room, beautiful Drawing Room, and exquisite Whisky Library. Candacraig’s eighteen-acres of private woodland and manicured lawns boast access to a glorious Victorian walled garden, private lochan fed by the celebrated River Don, and even a woodland bonfire area for special moments by the crackle of the warming fire. There is also access to an outdoor table tennis table, croquet lawn, children’s activity area and a private stretch of the River Don to cast your fishing line. With all that the Candacraig estate has to offer, we are equally blessed by our breath-taking setting within the stunning Cairngorms National Park. With over 5,000 square kilometres of rugged natural beauty and sensational outdoor pursuits to explore. 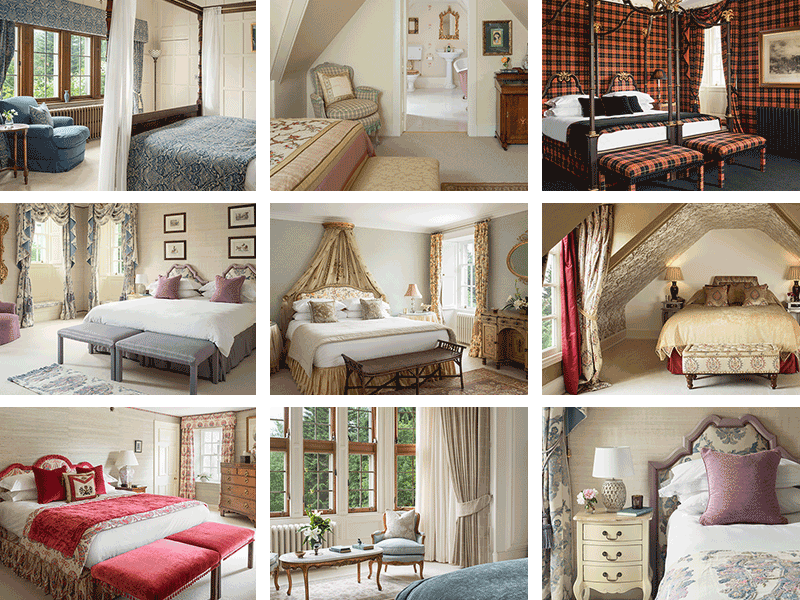 Candacraig presents an immaculate retreat for you to relax and unwind, with 12 individually styled bedrooms providing elegant comfort for up to 24 guests. All bedrooms have their own private bathroom, luxury L’Occitane toiletries, bathrobes and slippers. Through many years of collecting, our whisky library provides a leading selection of single malts and Scottish gins. Explore the nearby distilleries of The Glenlivet or Royal Lochnagar, or venture slightly farther afield to Speyside and visit distilleries such as The Macallan, Aberlour, Strathisla, Ben Riach, Glenfiddich to name a few. 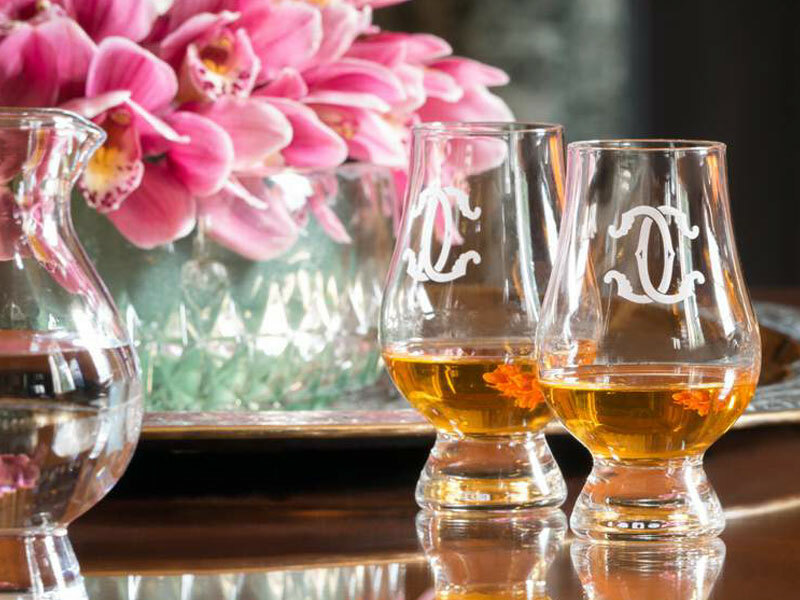 Host your own private whisky (or gin) tasting with our expert whisky tutor. Candacraig’s exceptional Highland hospitality deserves an exceptional space in which to enjoy it. Our sumptuously presented dining room offers the focus for a unique dining experience. Enjoy the pleasures of a luxurious candle-lit banquet, or simply relax with a wonderful meal shared with family. 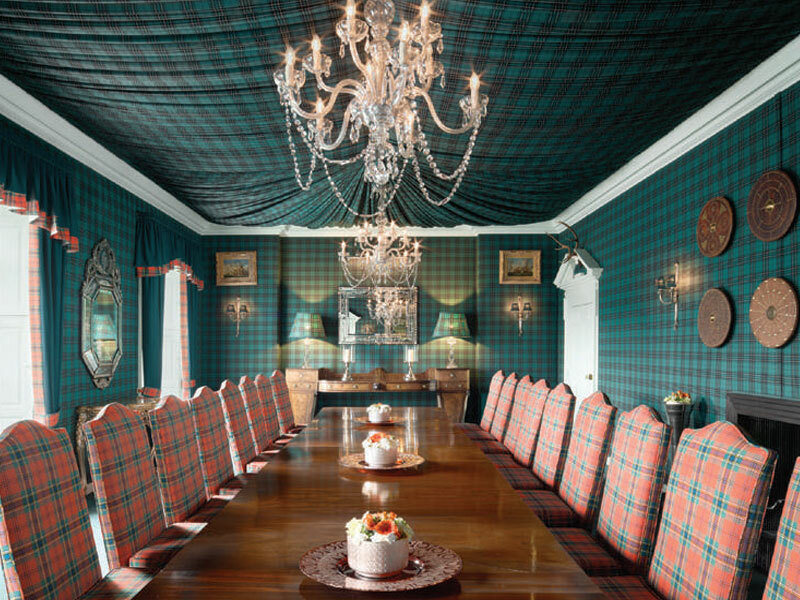 Our stunning dining room offers seating for up to thirty two guests, framed by luxurious tartan décor, setting the perfect scene to enjoy the wonders of Scotland’s highly-prized produce. A private chef and discreet staff is on hand, freeing our guests to simply sit back and enjoy the wonders of the exceptional local cuisine. The opulent Drawing Room at Candacraig presents grandiose 17th century luxury at the heart of our wonderful private residence. 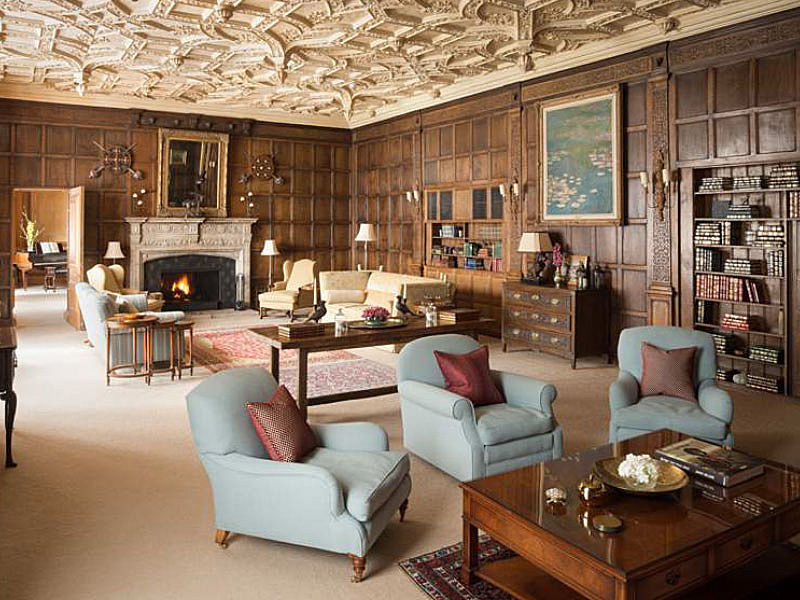 Guests can relax beneath the elegantly decorated plaster ceiling, surrounded by the exceptional wood panelled walls that give the Drawing Room such a wonderfully unique character. This immaculately presented room truly is a striking space to share, with bookshelves lining the walls and the open hearth offering the warmth and relaxation of a log fire. The Drawing Room is a room to fall in love with, where guests can unwind in the quiet by the fire place or enjoy a lively ceilidh band and a dance. Candacraig’s Games Room is the ideal setting to unwind. Challenge friends or family to a game on our billiards table, or relax with the comfort of a novel by the crackle of the open fire. 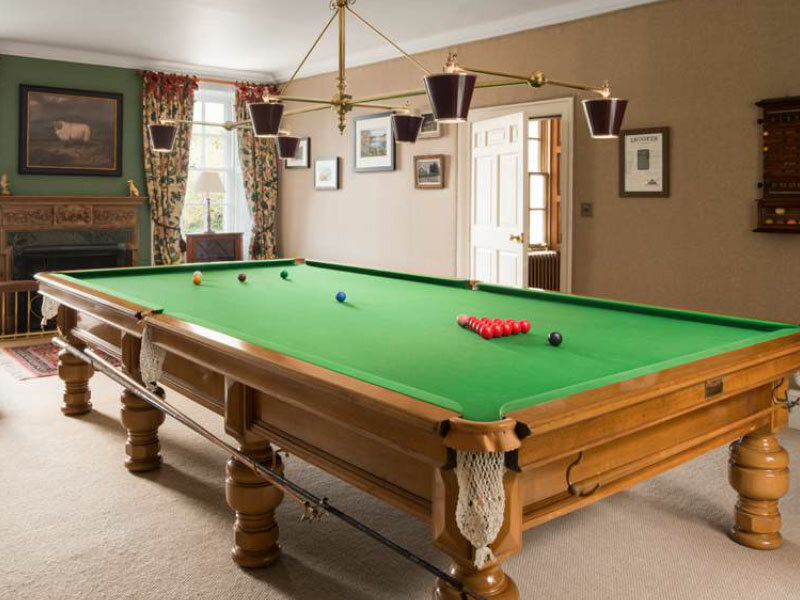 The Games Room offers a relaxing space for all our guests, whether they are enjoying the pleasures of a long-anticipated family holiday or taking time to appreciate a leisurely moment in the midst of a high-powered corporate retreat. 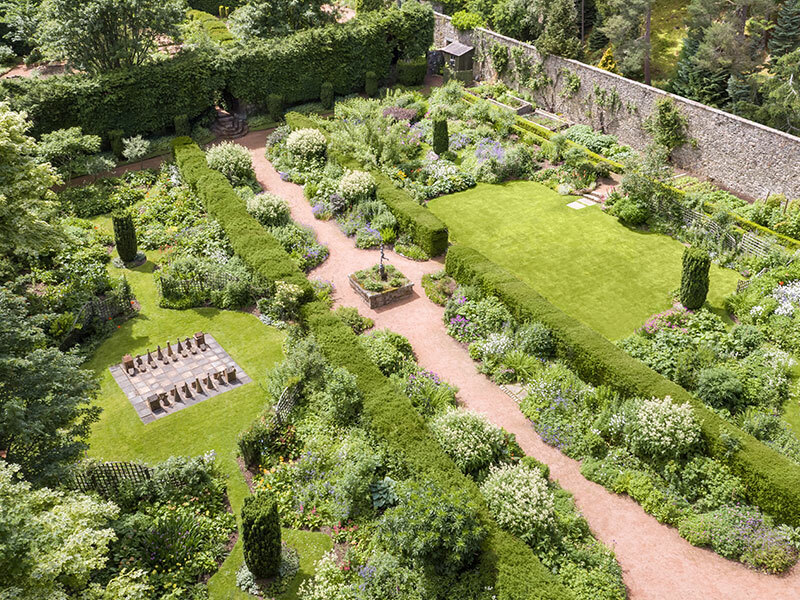 Candacraig’s historic and tranquil 3 acre Victorian walled garden is at the heart of our remarkable eighteen acre private estate. It offers the perfect setting to relax and enjoy the fresh, crisp Highland air surrounded by the soft breath of nature. Stroll the perfectly maintained hedge-lined paths or prepare yourself for a challenge with our giant chess set. Whatever the day brings, the walled garden offers a private outdoor space for all our guests to unwind and enjoy the moments that make Candacraig such a unique venue.